Although my children are great about letting me know what they want for Christmas, birthdays, etc., they are clueless when it comes to helping me figure out what to buy for others which is a real problem at certain times of year (Christmas, Teacher Appreciation Week, and End-of-the-Year). I don’t know how they can spend more waking hours with their teacher than they do with me and have no idea what his/her interests are, but this is always the case. Several years ago, I read an interesting idea in an article for PTA and PTO boards suggesting that the volunteers draft a Teacher Survey to keep on file for teacher appreciation events. We adopted this idea at the elementary school where I volunteered and it was immensely helpful in choosing appropriate gifts for teachers on their birthdays and holidays. I adapted the survey when I was a room mom for my son’s first grade class to help the other parents choose gifts that the teacher would really appreciate and be able to use. With Christmas approaching, I thought it would be a good time to pull this out again and post for my readers. 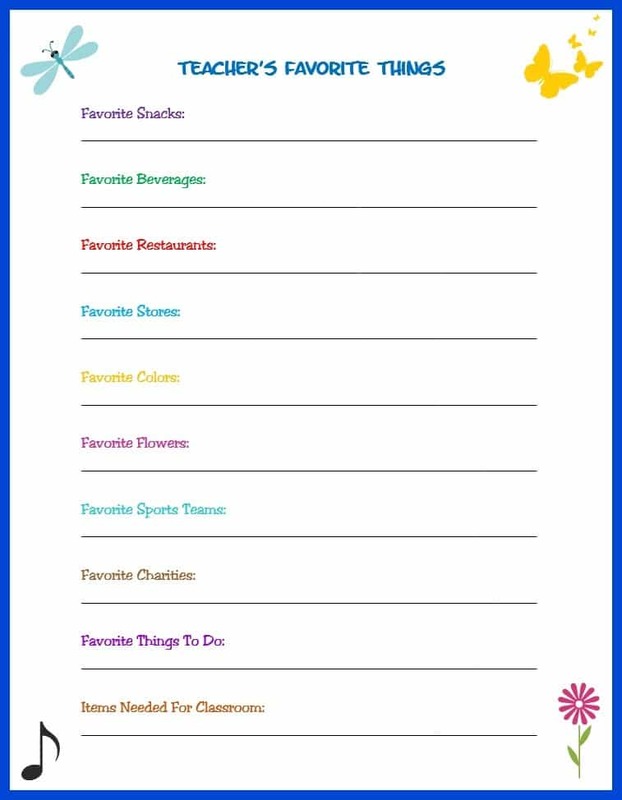 All you have to do is print out the Teacher’s Favorite Things survey below and give it to the teacher(s) to be filled out. 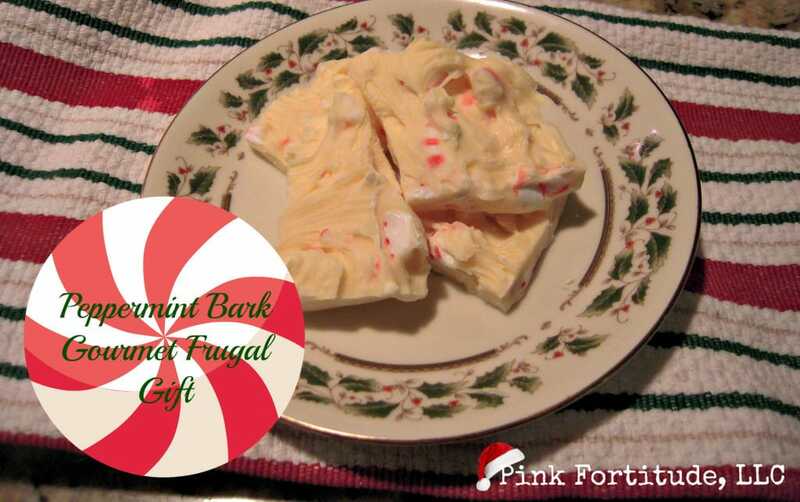 For the teacher who likes sweets, this Gourmet Peppermint Bark from Holly at The Coconut Head’s Survival Guide will be a big hit. Or, draw inspiration from Susan at Organized 31 who used leftover scrapbooking supplies to fashion a custom-made wrapper for her son’s teacher’s favorite candy bar. Working on a tight budget this holiday season? 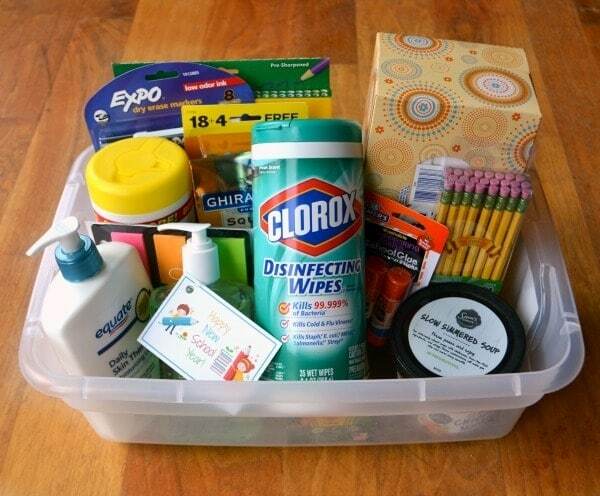 Check out these bargain-conscious teacher gift ideas put together by Cynthia at Feeding Big. My favorite gift for teachers is to help ease the financial burden of supplying a classroom out of their own pockets (this is a common occurrence). 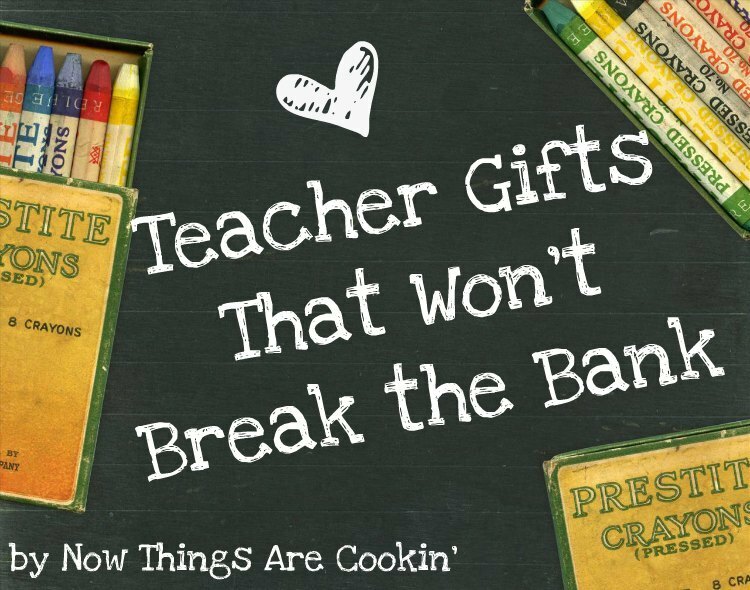 Find out what I include in our back-to-school teacher gifts based on my own experience working in classrooms. What a great idea! I am forwarding this along to our PTO so maybe they can start something like this next year! What a great idea. Will do this when Ava reaches school age. That’s a smart idea to ask those questions for a prompt on gift ideas! What a great idea! I never would have thought to ask my daughter’s teachers what they would like for Christmas. I wish I would have. You have shared some great ideas and I love the printable! Thanks for sharing my Teacher Gift Candy Bar. And we knew my son’s favorite teacher thanks to an idea sheet just like yours. 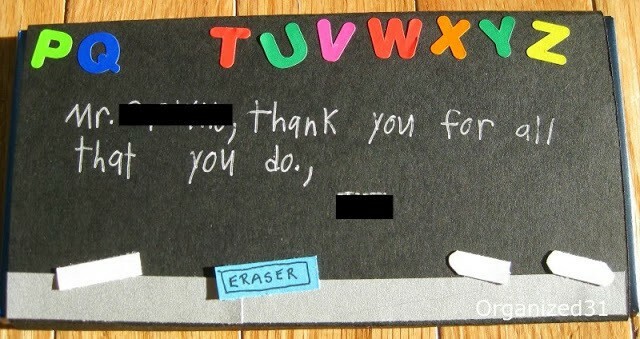 It’s a big help for the parents and for the teacher.